Correct reproduction of the alternator mounting brackets. 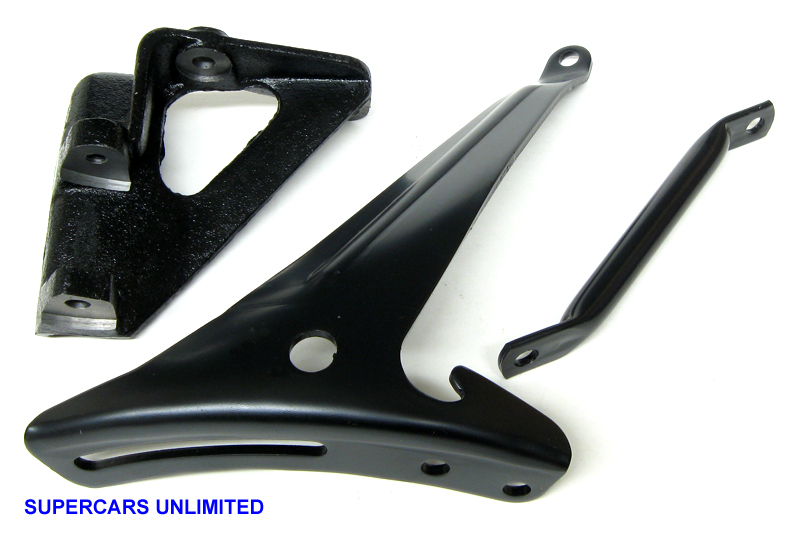 This bracket kit includes all three brackets required for alternator mounting on all 1966-1972 330, 350, 400 and 455. For applications without A/C or air pump.